There are provinces, islands and cities that will enthral couples for various reasons. Read on to know the top honeymoon destinations in the Philippines. Couples looking to vacation in a tropical paradise but in a budget will appreciate the Philippines as one of the top honeymoon destinations in Asia. The Philippines is a country in the Southeast of Asia in the Pacific Ocean. The capital is Manila and the whole archipelago is made up of more than 7000 islands. Surrounded by ocean on most sides, the Philippines share its maritime borders with Taiwan, Vietnam, Palau, Indonesia and Malaysia. The country experiences tropical weather. One can expect its islands to have lush beaches, volcanoes, and forests that are rich in biodiversity. There are provinces, islands and cities that will enthral couples for various reasons including relaxation and romance. 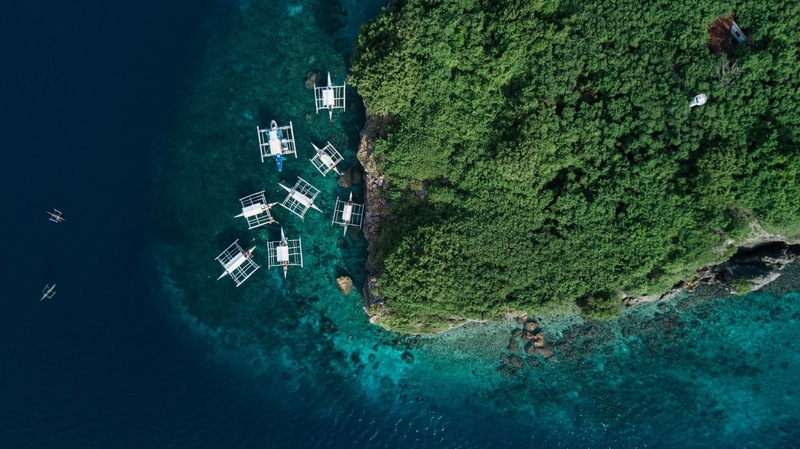 Read on to know the top honeymoon destinations in the Philippines. Palawan is the largest island in the Philippines and half of it is a desert. It is high in biodiversity and has contrasting landscapes, due to which it is known as the “Last Ecological Frontier of the Philippines”. Palawan is also a known romantic destination for couples in Asia. Visit El Nido and Taytay to experience clear water and white sands. Swim with the fish and relax with your partner on the beach. Move around Bacuit to see the limestone cliffs, lagoons and sinkholes. There are spots where you can go snorkeling and kayaking in the clear blue water. Take a tour of the subterranean river, which is a river under rocks and caves, where you go by boat. Travel to Ugong for some adventure by zip lining or trekking. Visit Port Barton where you can relax on the sandy shore, surrounded by palms and have a local meal. Visit Taytay to see the Filipino history or stay over in a bungalow on stilts at very reasonable prices. Spend some one on one time with your spouse while looking out over the water. 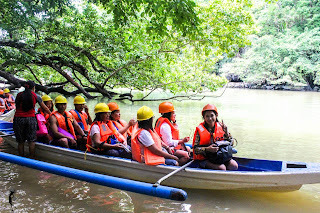 Bring out the explorer in you and see the Tabon Caves. It was the place of discovery of the oldest human inhabitants and you will have to hire a boat to get to the limestone caves. After all the adventure, stop by Bakers Hill with your love and sample the amazing food. You can relax in this spot with your partner after all the physical activities. Do try the local delicacy of Tamilok, a mollusk living in the mangrove trees. Surprise your better half with a trip to the starfish island – a place where you can see starfish all along the shore. This almost looks magical, with so many species in one place. I visited this place too on a solo trip. Take a dip in the cool waters of Estrella Falls near Narra or spend time at the secluded Bakbakan Falls. If you are feeling more adventurous, head more to the south and visit Balabac. It is claimed to be on par with the waters of Maldives. You can go island-hopping around this gorgeous pristine area. 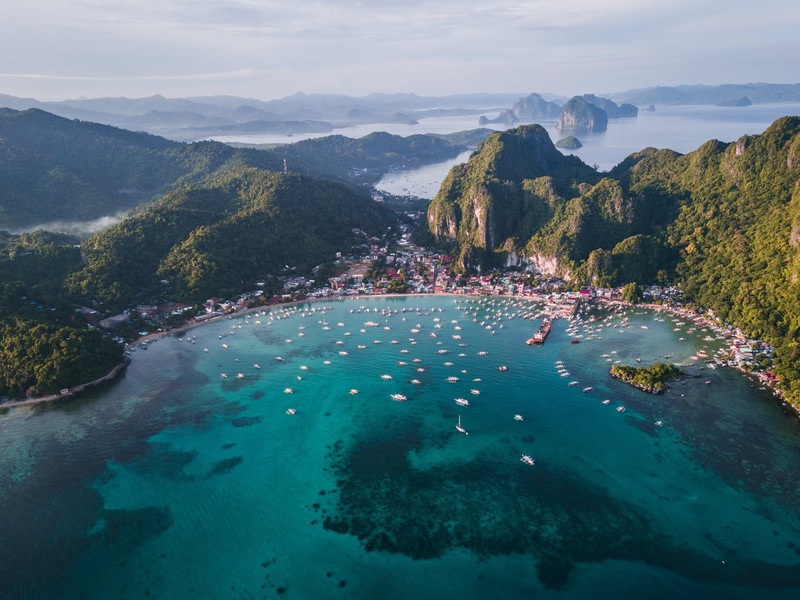 Form the northern island of Palawan down to the southernmost, truly, Palawan has it all, which can make it one of the top honeymoon destinations in the Philippines. 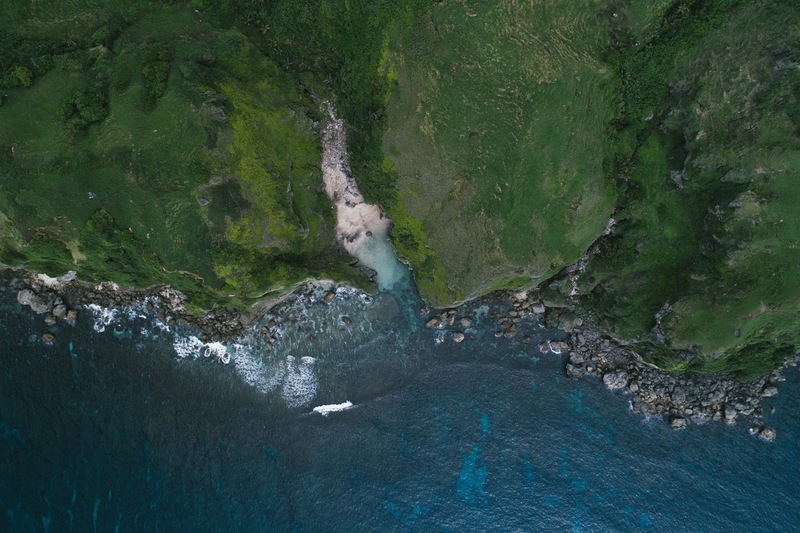 Batanes province is in the northern part of the country and is on UNESCO’s World Heritage List. The province is full of hills, mountains, and cliffs. The Sabtan Island has a white sandy beach with clear water for you and your partner to relax on. See a bit of history through the Didwadud Idjang, Dipnaysuhuan Japanese tunnel and Our Lady of Immaculate Conception Church. Visit the Valugan Boulder Beach, where the boulders were formed due to Mount Iraya’s eruption. Explore the Vayang Rolling Hills, the Naidi Hills and the Basco Lighthouse on foot. More adventurous couples can think about climbing Mount Iraya. Visit the Chawa Viewdeck for an incredible sunset with your partner and steal kisses. Take a dip in the Homoron Blue Lagoon to cool off in the tropical climate or visit the Maydangeb White beach – a cove with sand and colored rocks. Taste the local wine – Palek at Itbud or take a relaxed picnic at Ranum ni Kumalakal, a pool of spring water. 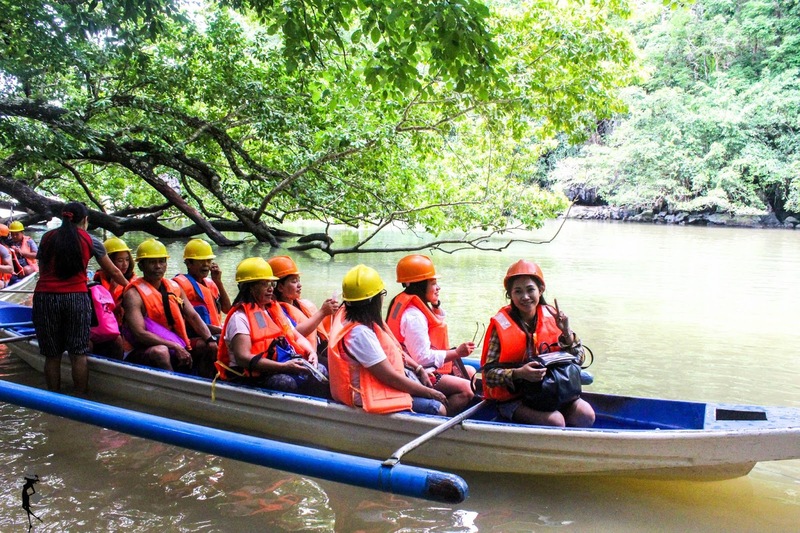 Explore the Itbayat Islands for a cave river and a sinkhole that acts as the town’s drainage. Explore the ancient Turungan Caves, where you can still see the remains of the ancient settlers. Another one for adventure lovers is the climb to Mt. Karububuan and Mt. Ripused. Try the local Bukayo and Vunes from the local eateries. Definitely try the crab and flying fish dishes which are unique to this place. Visit the Nakubuang beach – one of the best beaches in the world,for views to Mt. Iraya in the distance or eat the local fare sold by vendors along the shore. 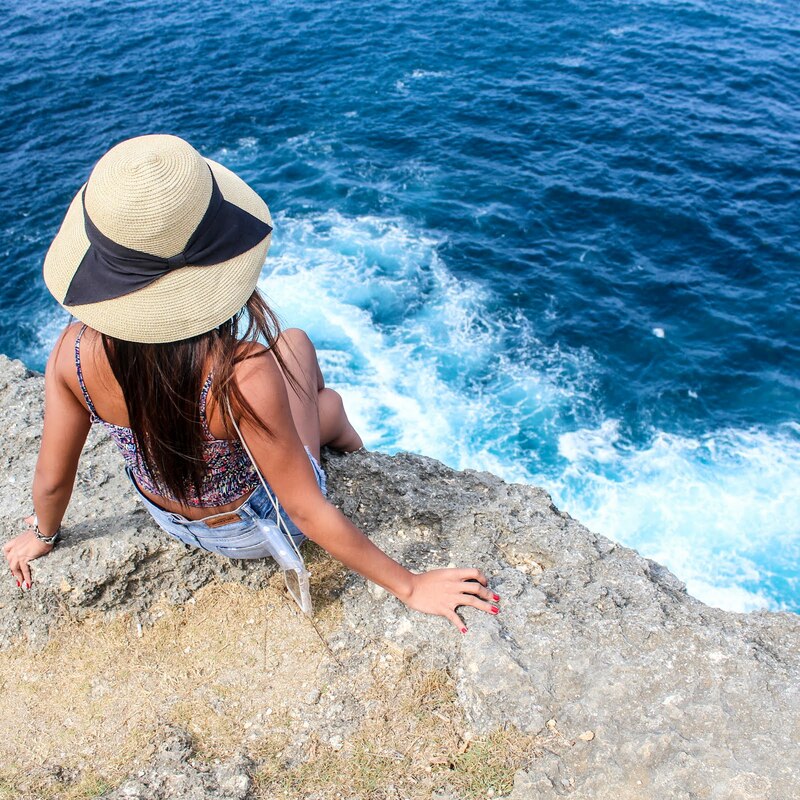 Batanes has so much to offer that it is one of the top honeymoon destinations in the Philippines. 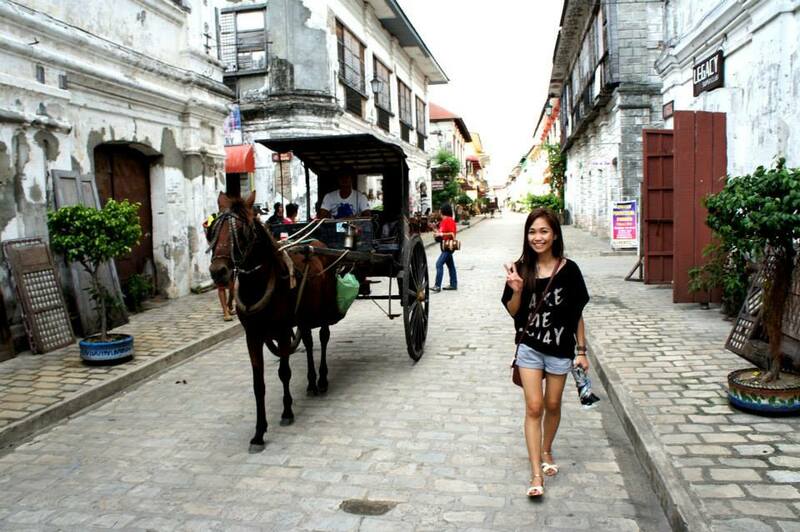 The city of Vigan is the capital of Ilocos Sur and is another popular UNESCO World Heritage Site in the country. Stroll by the plazas and museums to see a glimpse of history on the streets. Most of the ancient structures in the city are intact. Walk through Calle Crisologo with paved cobblestone streets and enjoy a ride on the calesa with your spouse. The calesa is like a small horse-drawn carriage that is the local transport for short distances. Climb the Bantay Belfry for panoramic views of your surroundings. Stop by the hidden gardens for some fun in the fountains or great food. Do try the local delicacies like pinakbet, longganisa, bagnet with a bottle of sugarcane wine. Tinubong is a must have dish, in which rice is cooked inside a bamboo which must be broken to eat. Vigan City has so many things to do and exudes romance in its ancient streets that it is one of the best vacation spots for couples in Asia. Cebu is a province in the Central Visayas and is made up of 168 islands. The main Cebu Island has coastal plains, limestone plateaus and narrow coastlines. It is surrounded by coral atolls, fishing grounds and beaches. There are plenty of things to do and to see in Cebu which will leave you spellbound. Take your spouse on a cruise ship to go island hopping, as there many surrounding islands in Cebu. Sunbathe or go kayaking with your partner in the clear water, while on these islands and make most of the romantic scenery. Visit the Kawasan Falls and spend your day being a water baby. Surprise your partner with a night camp near the waterfall and make love under the stars. Swim with the whale sharks in Oslob or go canyoning in Badian. Canyoning involves hiking, rappelling or swimming down rapids and would be good for an adventure junkie. Couples can go scuba diving in Malapascua Island which is a good spot for beginners. Don't miss exploring the beautiful island of Moalboal or a short day trip to Sumilon Island. Monument lovers will love to see the Magellan’s Cross, Basilica del Santo Nino de Cebu or Fort San Pedro. Other tourist attractions are the Temple of Leah, the Taoist Temple and the Colon Street. Do try to see the Heritage City of Carcar which has a high number of well-preserved structures. food chain Jollibee and eat lechon, which a local favorite. Get to the Tops Lookout for panoramic views and see the sunset while ending your day with a kiss. Cebu has so many activities and places to see that you will not run out of options. Cebu is indeed one of the top honeymoon destinations in the Philippines. which is affordable must try the Philippines. It is like visiting a tropical paradise but without having to spend a lot. Do indulge in the Filipino cuisine as the dishes from local eateries are freshly made. The Philippines is undoubtedly one of the best holiday destinations for couples. What top honeymoon destinations can you think of? 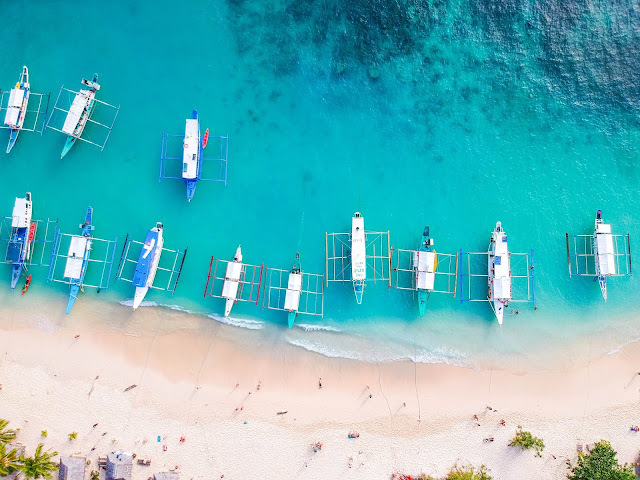 Would you ever consider visiting the Philippines on your honeymoon?